Are newsrooms diverse enough? Is social TV a complement or a distraction? Are drones a smarter, safer way to capture news from the sky? Is Aereo the future of TV, or will it be shut down before it really takes off? 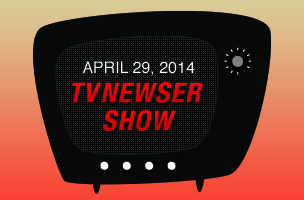 We’ll ponder those questions and many more in less than three weeks at the TVNewser Show here in New York. So join NBC News anchor Tamron Hall, Fox News anchor Bret Baier, Fusion anchor Alicia Menendez, Tribune Broadcasting president Larry Wert, CNN VP Geraldine Moriba and many more on April 29. And if you sign up before midnight tonight, you’ll get $150 off the price at the door. Check out the full program and speaker list for more details, and don’t forget to register today.